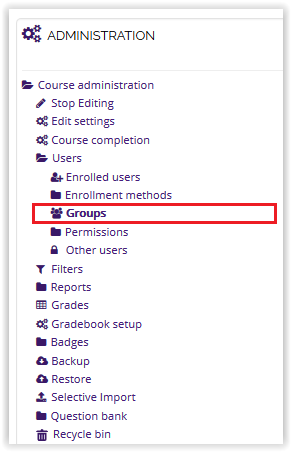 In Moodle, a grouping is a collection of groups within a course. 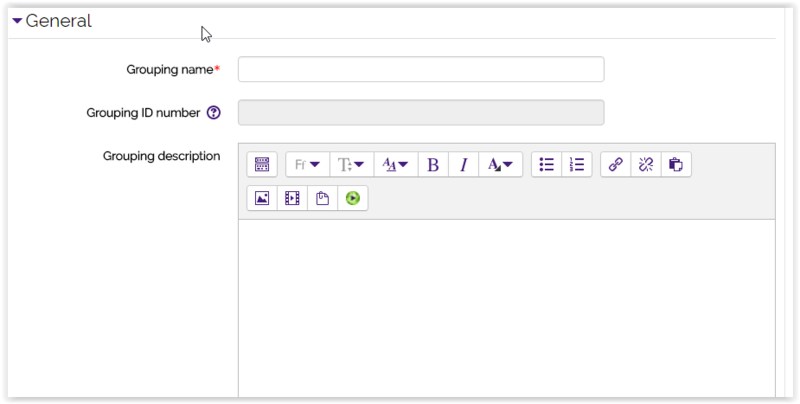 This can be useful when directing tasks at one or more groups within a course, so that they can work on assigned tasks together. (A single grouping can contain one or several groups). 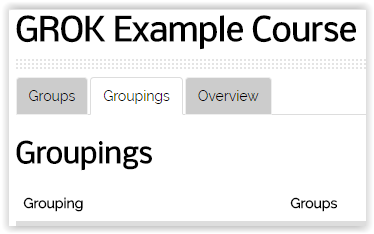 For more information on groupings, please see: Moodle: Groupings. 5. Fill in the general information for the group. 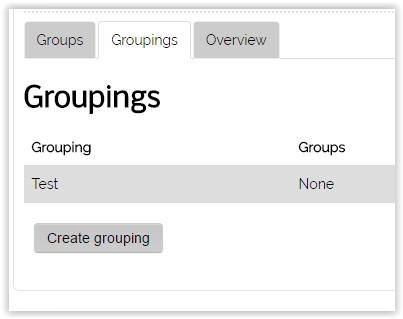 To add groups to groupings, please see GROK article #18399: Moodle 3: Administration Block: How to Add Groups to Groupings.